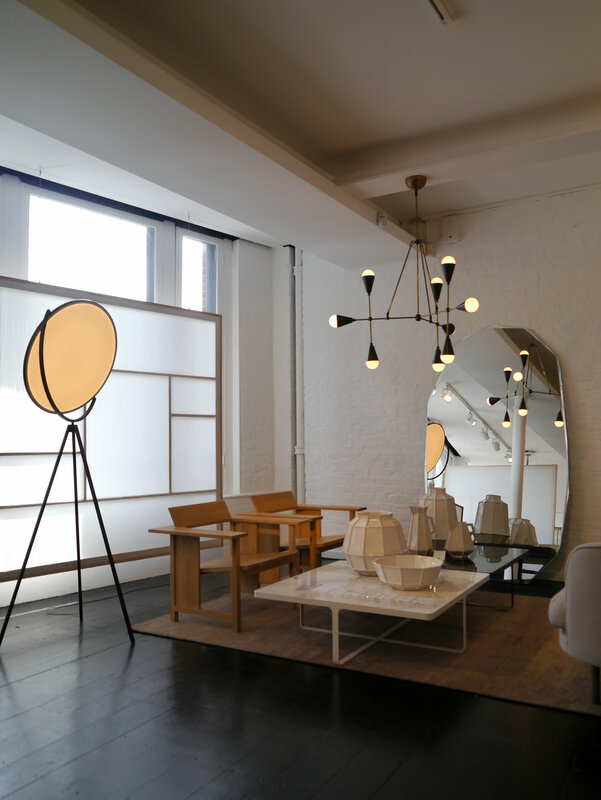 SCP has a reputation for being one of London's very best design shops. Producing new modern design under their own label, this spacious retail space and studio in Shoreditch on Curtain Road, their flagship store is full of ranges that have continued to deliver quality design for over 30 years. They are one of the most innovative and internationally respected manufacturers and suppliers of contemporary design. With designers such as Reiko Kaneko, Donna Wilson, Fort Standard, and Jasper Conran amongst many others. Jasper’s 1986 chrome-plated Side Table was the first piece SCP produced, which they have reissued as part of their Classics collection. SCP's style is fused with a Scandinavian quality, a lightness of aesthetic driven by durability and function. Built to last and be timeless. The Carry stool functions as a container, tray and stool in one. As a container, it can be used for picnics as a tray for food and drinks, a perfect place for tools while gardening or just the right size stool when caring for the garden. Lee Kirkbride's tilted stem and 3 point base allow Calvo to sit closer and more comfortably next to an armchair, sofa or bed. The Clerici three seat bench was designed by Konstantin Grcic for Italian furniture brand Mattiazzi as a progression from Gric's Medici range. A directional lamp made in cast iron, aluminium, beech, glass/chalk/PBT. The lamp is dimmable and the slightly tranparent shade hides the light source for glare protection. A simple rough concrete bulb holder to add an industrial edge. Fine bone china vases exploring the unique depth of colour achievable through ceramic glazes. The nature of this reactive form of glazing means each vase is a unique product inspired by the nature of colour in the surface of ancient Japanese stoneware.